US Army Spc. 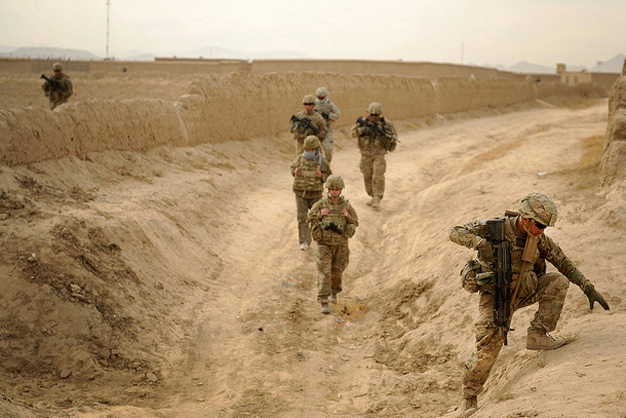 Edwarde Loeup (right), an automatic rifleman with Provincial Reconstruction Team Zabul, moves to high ground during a dismounted patrol on the way to a key leader engagement at a hospital in Shah Joy, Afghanistan, on November 21, 2011. DoD photo by Senior Airman Grovert Fuentes-Contreras, US Air Force.